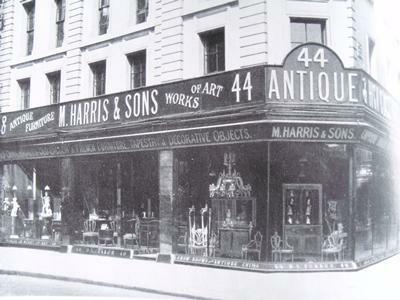 A new online, interactive map has been launched which tracks the development and history of the UK antiques trade during the 20th century. Researchers from the University of Southampton, led by the University of Leeds, aim to chart the changing geographical locations of dealers over a one-hundred year period. The map and dateline allows anyone to search for information about individual traders in Britain over decades and will eventually track the movement and trade of individual objects. The antiques trade has changed significantly in the last few decades, reaching its height in the 20th century, but more recently moving into decline – with approximately one third of dealerships closing in the final years of the century. It’s hoped the site will eventually include details of the estimated 100,000 dealers who traded in Britain in the 20th century. Dr Quince says: “By recording the names and locations of traders across a one hundred year timeline, we can start to build up a picture of the industry – who was dealing in what and when, what they were charging, and who bought what and from whom. Researchers are gathering information from a number of sources including trade directories, archival sources, oral histories from retired or older dealers and now by crowd-sourcing information from the public. They are exploring the social, economic, political and cultural impact of the antiques trade in the UK. The project is part of a wider body of research, Antique Dealers: the British Antiques Trade in the 20th Century, a Cultural Geography, funded by the Arts and Humanities Research Council – concluding in March 2016. Outputs include the interactive site, a conference and a publication. The British art and antiques market is one of the oldest and most important in the world. Although its share is dwindling, last year it accounted for a 20 per cent slice of the booming £50bn global art market, second only to the US and China. The interactive map can be viewed here. People can get involved with the project here.